We are certainly enjoying prosperous times! The United States Economy is experiencing a boom that may end up the longest in history. Unemployment levels are near record lows while the stock market continues setting record highs. People are working and spending. Businesses are profiting and expanding. It's a terrific time to be a player in the U.S. economy. Unfortunately, all good things do come to an end. That includes this period of prosperity, which began in June of 2009 and could become the longest run of prosperity in the country's history if it holds on until July 2019. Experts disagree on how soon the eventual downturn will occur, but there is no denying that it will. It always does. With that in mind, entrepreneurial hopefuls who are considering starting a franchisebusiness would be wise to look at some of the recession-resistant models that franchising has to offer. These industries prosper regardless of which economic cycle we're in, because they offer goods and services that people need no matter what the economy is doing. Mother Nature doesn't give a hoot about the economy! Hurricanes will continue to ravage our coastal communities causing wind damage and flooding. Lightning will strike homes and start fires. Toilets will flood, pipes will burst and foundations will continue to crack whether we're in a state of prosperity or not. That's why companies in the restoration business will always have customers. Their work isn't optional because people want their lives returned to normal as soon as possible. Plus, much of the work is paid for through various types of insurance so the bulk of the bill may not fall to the homeowner. Restoration services are a major industry. Franchises in this sector are reasonably priced, feature high margins and have low overhead because brick and mortar locations aren't required. America is getting older. In fact, the U.S. Census Bureau predicts that by 2035, there will be more Americans over the age of 65 (78 million) then there are children under the age of 18 (76.4 million). Moreover, 87 percent of seniors 65 and over want to stay in their current homes and communities as they age, according to the AARP. Senior home care allows for that by providing non-medical caregivers to come to seniors' homes and help them with everyday chores they aren't able to do themselves for a fraction of what senior living communities would charge. This includes meal preparation, escorting them on errands, housekeeping, caring for pets and more. The senior home care industry has new brands popping up regularly, so working with an industry expert is advised to ensure that franchise candidates can find a system that is a good fit. Franchise owners can scale their hiring as they grow, allowing them to start small but add caregivers as the senior community grows. People may cut back on some personal grooming services, but hair care is rarely one of them. Unless you plan to convince your wife or daughter to let you start shaving their heads, you'll be paying for their salon visits through good economic times and bad. That's great news for people in the hair care industry, which is not only recession-resistant, but also unlikely to be outsourced or replaced by technology. Plus, hair care franchises often follow a semi-absentee model, meaning owners only need to spend 10 to 15 hours per week working on their business while managers and hairstylists work in the business. The semi-absentee model is preferred by people who plan to keep their day jobs while owning a franchise, those who like a favorable work-life balance and franchising tycoons who want to open multiple units without adding a ton of hours each time they open a new franchise. As of 2017, the average age of cars in operation topped 11.7 years, a growth of more than two years in just the last decade. As Americans continue to hold onto their cars for longer, auto repair will continue to thrive. Recent reports indicate that a high percentage of automotive repair is done by independent shops (vs. dealership service), many of which are franchises. The automotive franchise sector offers one-stop shops for franchise candidates interested in systems that perform lots of automotive services to the specialty automotive franchises that focus in one area, such as oil changes. Because many car services fall under the category of routine maintenance, franchise systems have technology in place to offer regular reminders to their customers about when it's time to bring their cars in for service. Whether it's clothing, technology, athletic gear or household items, resale stores do particularly well in a recession. Not only do they offer significant discounts from the retail prices of their gently used items, but they pay people in cash or trade for their items, which benefits customers during hard times. Now a $20 billion industry, resale also appeals to the younger generations because of their environmentally friendly business model. 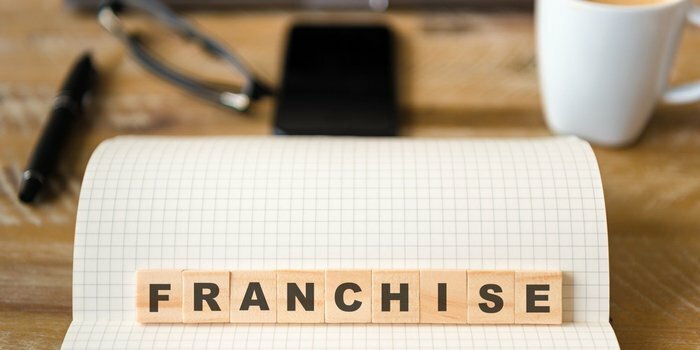 Multiple resale franchise brands are often franchised by one company, so franchisees that thrive with one brand are easily able to add additional brands to their franchising empire without having to engage with a new corporate body. They also feature terrific inventory control technology that ensures owners only buy what they can sell.